There are lot of trees in bloom right now. The spring annuals have started fading but trees are just warming up. 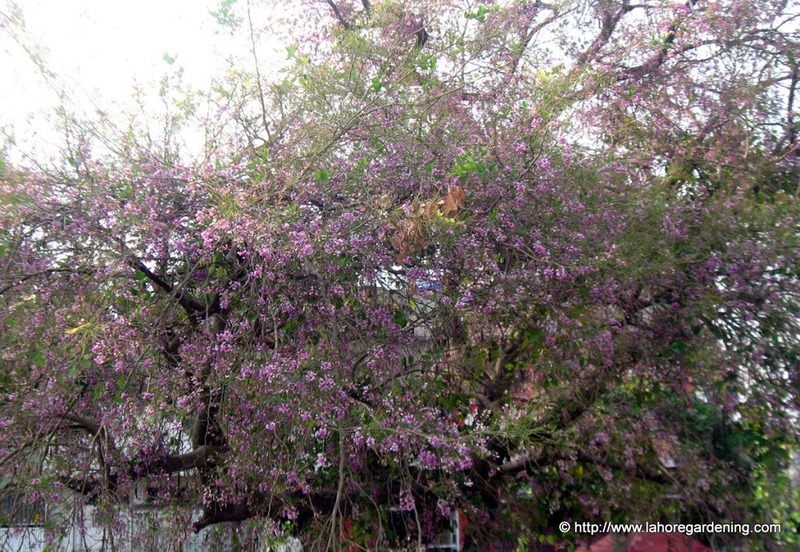 Here are some of the trees in bloom right now in lahore. I am intended to capture at least 50 trees in my blog this spring. 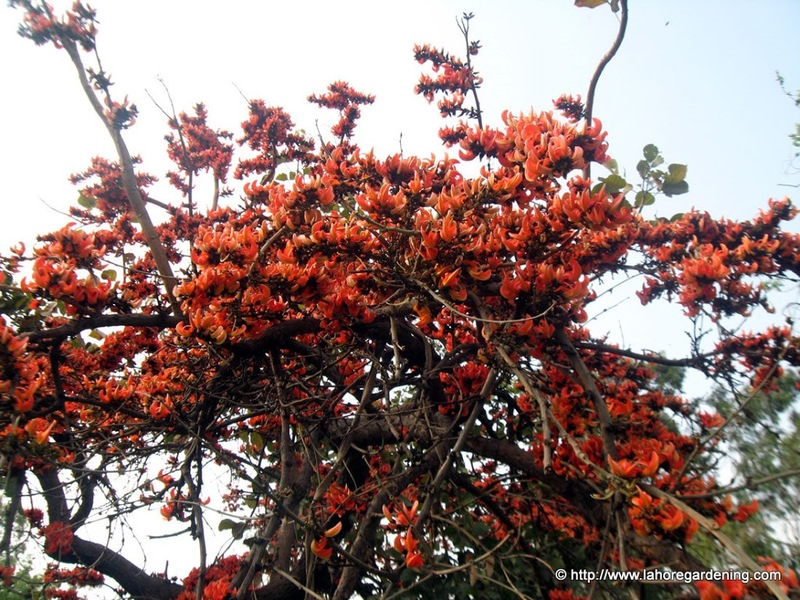 First one is butea frondosa also known as Flame of the forest. Bees and butterflies just love it. The hundreds of flowers on a single tree look so pretty. A common tree in lahore. 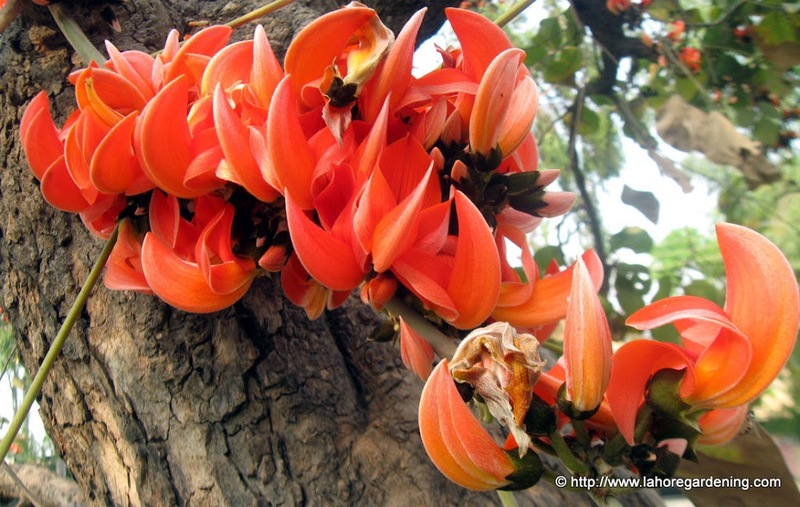 This is a closeup of flowers of butea frondosa. And this is how the flame of forest looks like in a panorama view. 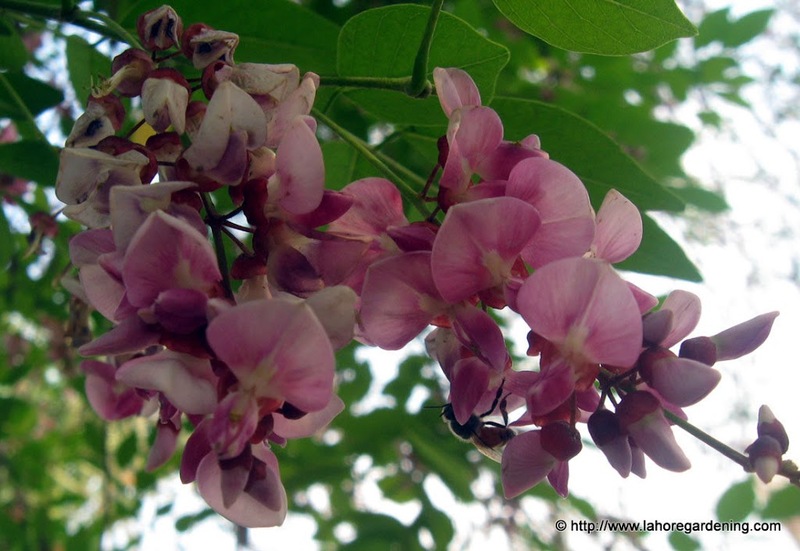 The next one is millettia ovalifolia with local name villayati shisham. A subtropical legume tree. There are more than one millettia species blooming right now but i will share the remaining in next post. 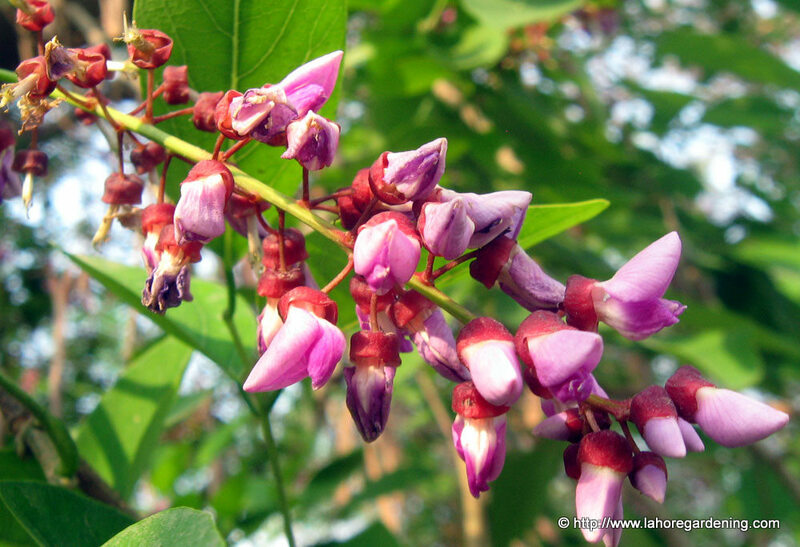 These are buds not flowers of millettia ovalifolia. 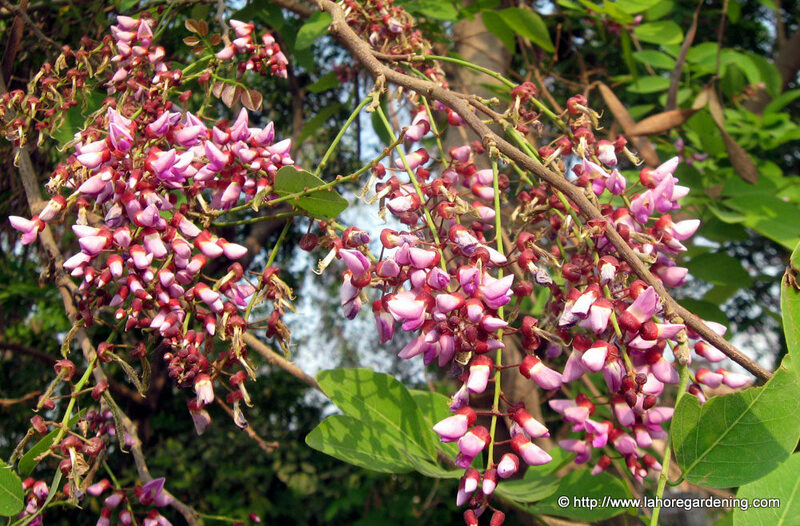 And this is how flowers of millettia ovalifolia look like. Somehow they appear to be pea like. And last but not least the front view of this beautiful tree. 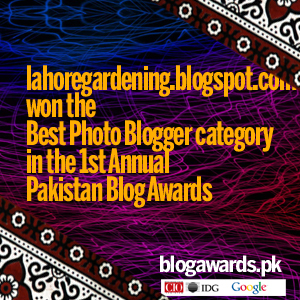 This post is included in Today’s Flowers so don’t forget to visit it and enjoy blooms from around the world. For Mosaic monday, visit Little red house. The flame of the forest is very impressive! Looking forward to more of the series, beautiful tree’s! I just love seeing all of these tropical beauties…we don’t get to see this at the Jersey Shore! Just amazing. I don’t think I’ve seen those in that first shot. Very unique and great color. so pretty, are they fragrant? I know nothing of such trees, but they certainly are beautiful! WOW, I have never heard of these trees, they are amazing! I have never seen trees like this before! They are unique and gorgeous. Beautiful trees-I’ve never seen them before. This must certainly be paradise!!! Gorgeous photos!!! Two fantastic looking trees, especially when they’re in full bloom! What a display. Each one has its’ own distinctive flower. gorgeous…I’ve never seen such unusual tree blossoms! Thank you for sharing the botanical riches of your region.